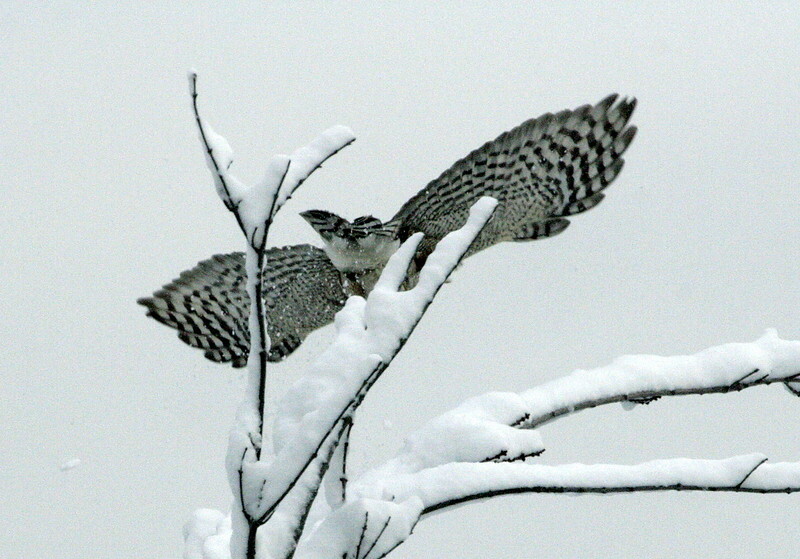 Broad-winged Hawk Take Off In Snow. Broad-winged hawks are migratory in Maine. This photo was taken in February. It's very unusual to see a Broad-winged hawk in the snow. It was probably an early migrant to Maine.